There are other aspects of personal injury legal self help we haven’t covered in previous sections. If you’re involved in an especially long, drawn-out case, you may be forced to find alternative means to finance your life while your case is being resolved. You may also wish to sell your settlement after winning for a lump sum. Here we discuss these options. When damages are severe and you’re involved in a serious long term case, your finances can get stressed. You might need some money to pay your daily living expenses. 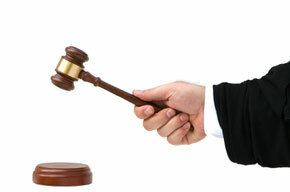 This section explains different personal injury lawsuit loan and financing options. Is it smart to trade a lump sum in cash for structured settlement payments? Learn the pros and cons of selling your personal injury structured settlement before you decide. If you’ve decided to sell some or all of your personal injury structured settlement payments, you’ll need to hire a good broker. These legal self help tips show you what to look for and the right questions to ask. In the mood for a chuckle? Read some of the funny statements people have given on car accident insurance claim forms. Not sure what to do after law school? This comprehensive guide discusses the pros and cons of a variety of legal jobs, salary information, what personality types will fit best with which jobs, and more.